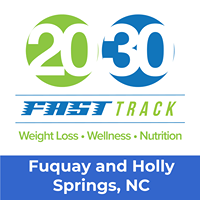 Attending a Business After Hours is a perfect opportunity to learn about our host, 2030 Fast Track Weight Loss & Wellness, and have a chance to socialize and network with fellow Chamber Members in a relaxed environment. Check out the space and learn about what this new member offers in terms of weight management and general wellness WITHOUT prepackaged meals and deprivation! Grab a pint from hometown favorite Bombshell Beer Company and network with fellow Chamber members as you hear about this new member's weight loss and wellness plan that's easy to do.